According to a recent report from the Trust for America's Health Drug overdoses are the leading cause of injury deaths in the United States, at nearly 44,000 per year. Overdose deaths, half of which are related to prescription drugs, have more than doubled in the past 14 years. 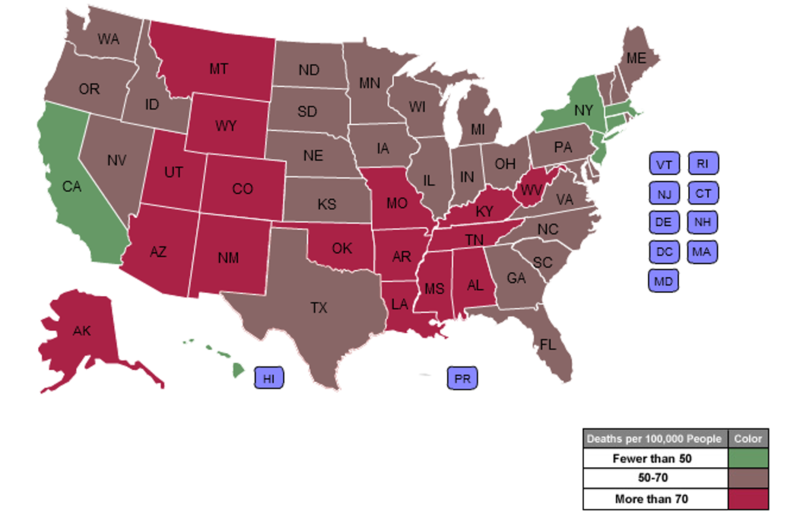 Overdose deaths now exceed motor vehicle-related deaths in 36 states and Washington, D.C. And, in the past four years, drug overdose death rates have significantly increased in 26 states and Washington, D.C. and decreased in six. An analysis of Instagram posts in March shed light on anticipated drug use at this year's Summer Music Festivals. 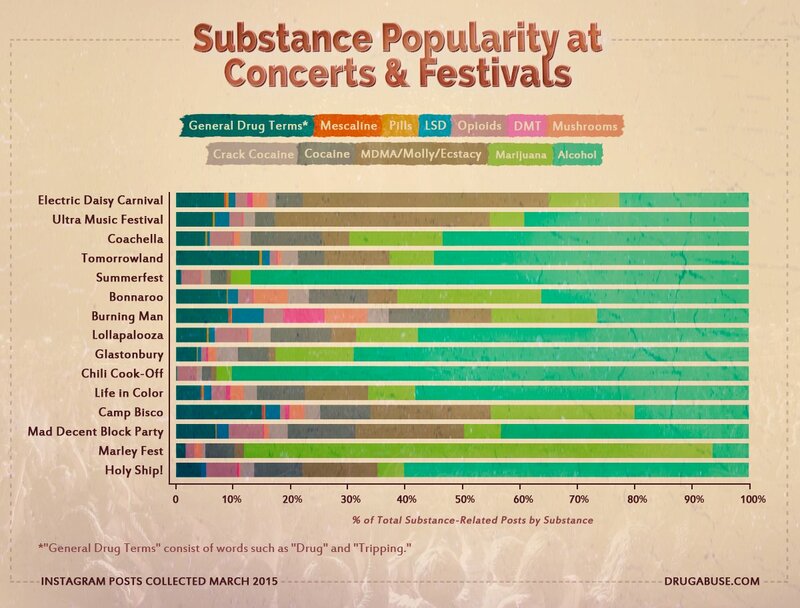 DrugAbuse.com reviewed over 3.6 million Instagram posts mentioning 14 different Music Festivals to determine the percentage of posts that contain language about alcohol and drugs, including 61 popular terms associated with those substances. The study shows that alcohol is the most prevalence drug at concerts and festivals, followed by "Molly," Marijuana and Cocaine.